It is hardly a surprise when I say that Singapore is one of the best destinations to begin a business. The combination of corporate tax laws with political stability make this city the ideal location for running a company, and this is why I chose Singapore as the city to begin my business. However, as with all other countries, I found that running a business as a beginner is Singapore is not simple. As a first step towards owning and operating a company in Singapore, I initially gained PEP visa help from One Visa; One Visa helps individuals receive PEP. Now that I am residing in Singapore and running a business, I will offer this advice to help all aspiring entrepreneurs who are looking to begin something new and exciting in this location. The information in this article is based on my experiences and what I discovered in my journey, but I hope it will be a useful article for you and your plans. 1. Always Research And Plan. 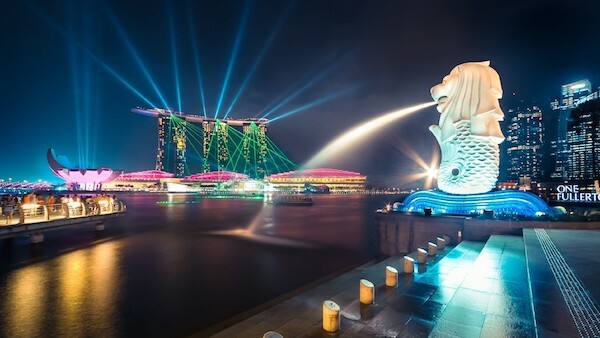 Before embarking on a journey into Singapore, it is vital that you first evaluate what your business will be offering the clientele, the potential clientele or audience you will try to target in the APAC region, and the specific need of this audience you will try to address. Keeping this in mind, it is recommended that you conduct comprehensive market research, observation and analysis to help you determine if the move to Singapore is a beneficial option for your company. Be sure to establish the viability of expansion before making a move to expand and parting with significant funds on this venture, only to see it end in failure. Take time, plan and plan again until you have all the data you require to move ahead. When all the details have been carefully planned and analyzed, you need to register your company with the Accounting and Corporate Regulatory Authority. Registration can be done by submitting an application for new businesses online via the Sandhurst Consultancy. If you wish to set up a branch of your business in Singapore, then you need to appoint local representatives to act on your behalf. The representatives need to have specific resident status either as residents of Singapore with citizenship, permanent residents or foreign residents with an employment pass. 3. Obtaining The Correct Licence. Application for company permits and licences can be done following the successful incorporation of a company. Dependent on the nature of the company, you may require several permits or licences. The majority of licences can be obtained using the internet; however, there are certain permits that require in-person application with local authorities. 4. Utilizing Government Agency Assistance. 5. Opting For A Business Structure. When registering a company in Singapore, you will need to define and specify the legal entity you wish to form ranging from a partnership or sole proprietor to a private limited company or a limited liability. What is crucial about the choice is that you understand the different options available. To register your company, you will require a local physical address. Keeping this in mind, before you consider the registration of the company, take time to evaluate the physical area and locate a suitable address for your business’ operations. Be sure the location is a strategic one for your company’s needs as the company’s physical address can influence your business dramatically based on the services you offer and your target audience. A company website meets prospects before you do, and based on this statistics you should have a website running as part of your business. Of course, there are various methods available to have a website along with a Singapore-based domain; the plain fact is that you need one to succeed! How will any person engage with a Singapore-based business via the internet if you do not? If you require assistance with this, try contacting Asia Registry.